So as promised I am back with the next part of the relaxed 31 Day Challenge (it really isn't that relaxed!). Today's post is just a plain swatch post of a polish I have been dying to wear since I got it- Illamasqua Purity! Illamasqua is one of my fav high-end brands, I love the edgy alternative feel to the brand, plus they have loads of pretty colours to choose from. I have five polishes at the moment but am majorly on the hunt for more! 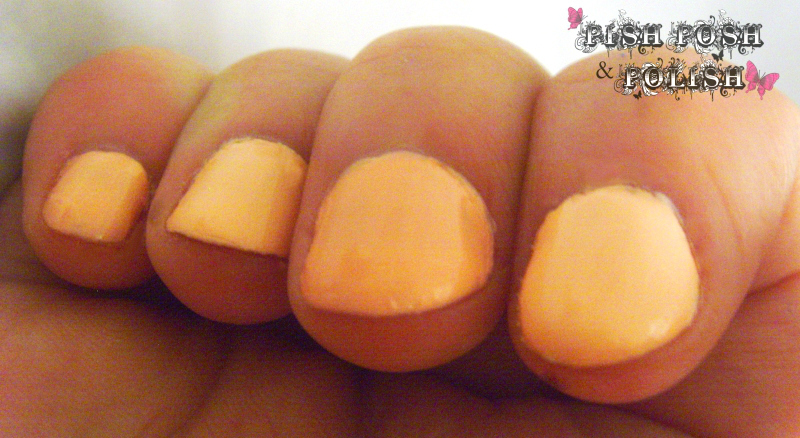 Purity is a pastel peach with undertones of neon from the Toxic Nature collection. 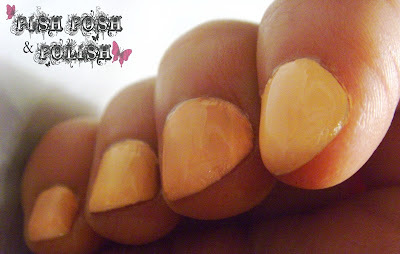 For a pastel application was great, this polish is highly pigmented and needed two coats to reach perfection on the nail. This polish also dries super glossy and yummy!! Peach is a odd colour for me and my skintone, I feel I am a bit too yellowy to pull it off but at the same time it is so fun and feminine and perfect for cold days leading up to springtime. I don't own any Illamasqua, but I really want some! This color is milky and gorgeous! This is a really pretty orange!